Fill out the form below, and we’ll send you more information about the Master of Public Administration, MPA program. Create meaningful change in the public sector. When you invest in your career by earning your Master of Public Administration, you’re not just becoming a better leader; you’re also creating expansive opportunities for yourself and the public service you provide. 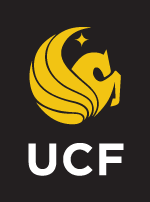 With a focus on strategic planning, public policy, organizational management, financial management and more, the Master of Public Administration offered by UCF Online will prepare you for employment or career advancement. Your coursework will incorporate service learning, provide real-world experiences, develop community partnerships and cultivate leadership skills. 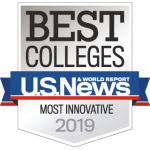 UCF’s online MPA degree is accredited by the Network of Schools of Public Policy, Affairs and Administration (NASPAA) and is nationally ranked by U.S. News & World Report. Additionally, the School of Public Administration has partnered with the department of criminal justice and the nonprofit management program to offer two online dual degree options. To advance your career in both the nonprofit and public sectors, explore UCF Online’s program for earning your MPA and your Master of Nonprofit Management simultaneously. Get started today.